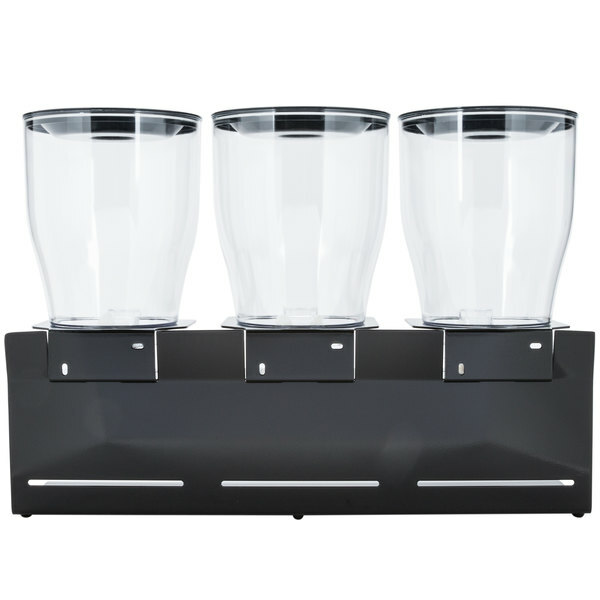 Made of sturdy, stain resistant stainless steel with an eye-catching metallic powder-coated finish, this Zevro KCH-06150 Professional black dry food dispenser is sure to captivate customers at your hotel breakfast bar, buffet, market, day care center, or cafeteria! 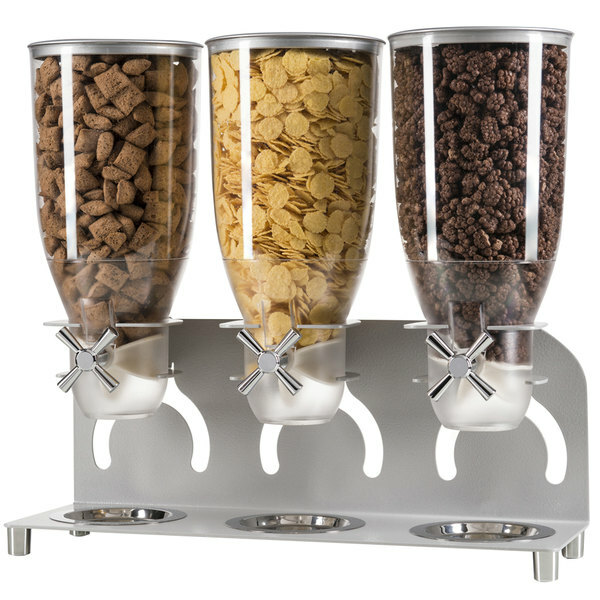 The Zevro KCH-06150 triple canister dry food dispenser is perfect for serving and merchandising a variety of products such as cereal, granola, candy, trail mix, coffee beans, or pasta. The possibilities are endless, so use your imagination! 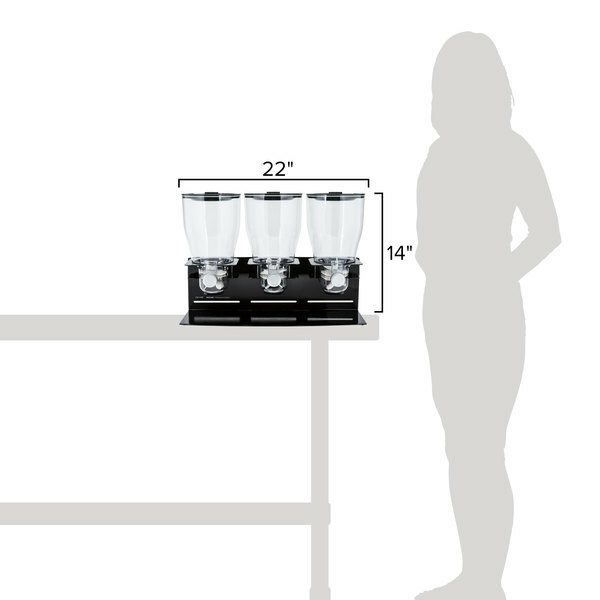 The Zevro KCH-06150 dry food dispenser also helps reduce waste and save money by controlling portion size. Each twist of the metallic taps releases a measured 1 oz. of product. 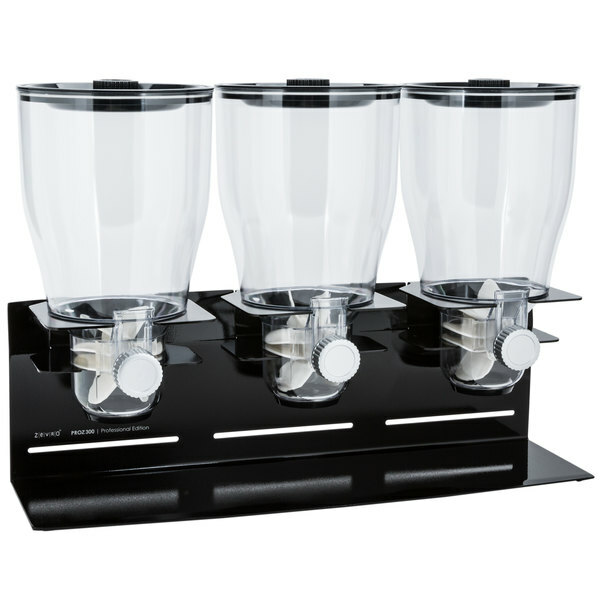 Its ample 4 liter clear plastic canisters are specially designed to keep your dry foods fresh for up to 45 days. This was perfect for our needs! 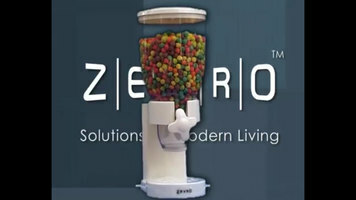 We are using it on a snack table at work for trail mix and m&m's. 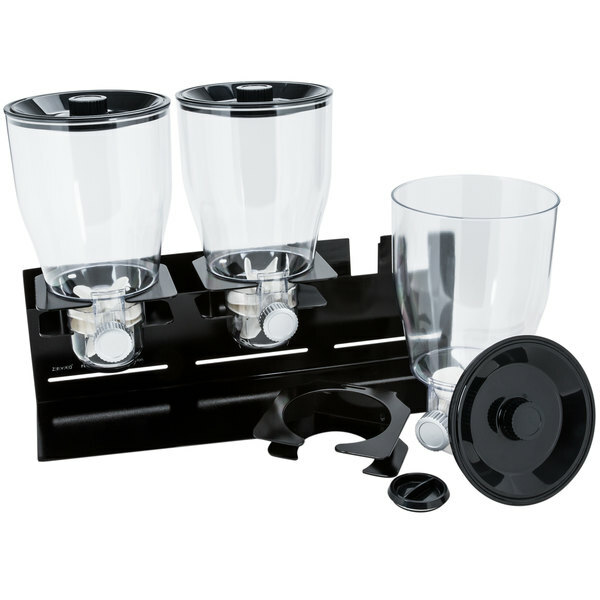 It looks clean and neat and functions great! Great products. Love it! 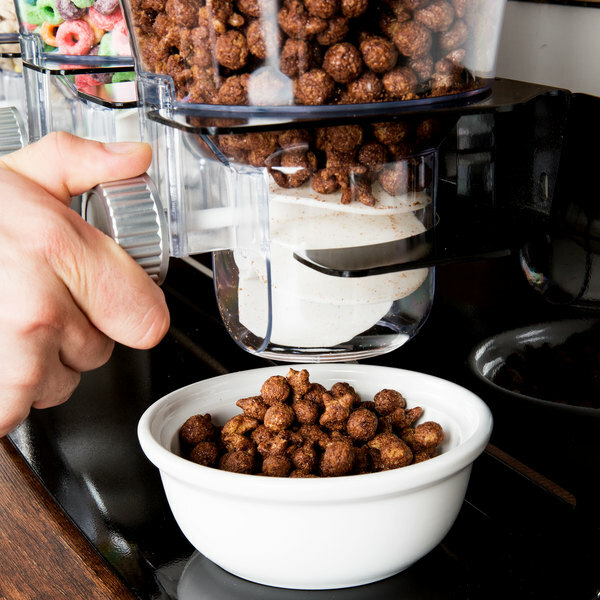 I really enjoy this cereal dispenser. It works fantastic. A bit messy but aren't they all. I just wipe and go. The knobs will eventually break. You cannot buy replace knobs. Use to be able to buy knob from the manufacturer, Honey-Can-Do but they no longer support their customers. This is a shame. I think this is a great product for what you pay for. I love that it holds three different varieties of snacks. 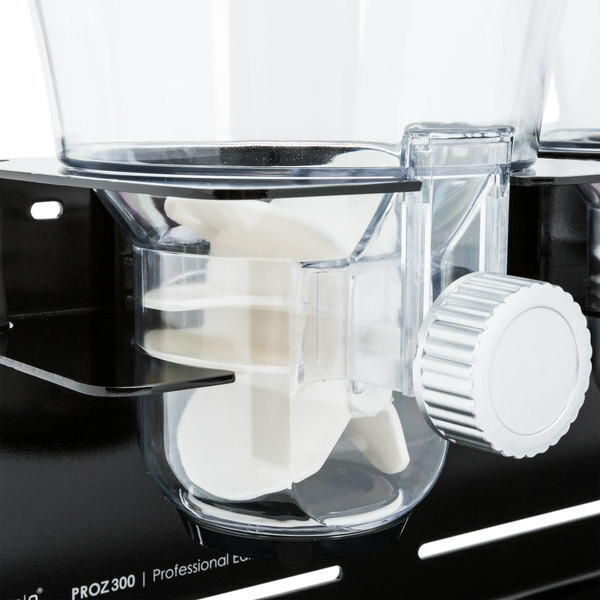 It's easy to use and easy to clean. You get what you pay for - garbage. I am now buying more expensive better units as these are going to storage. 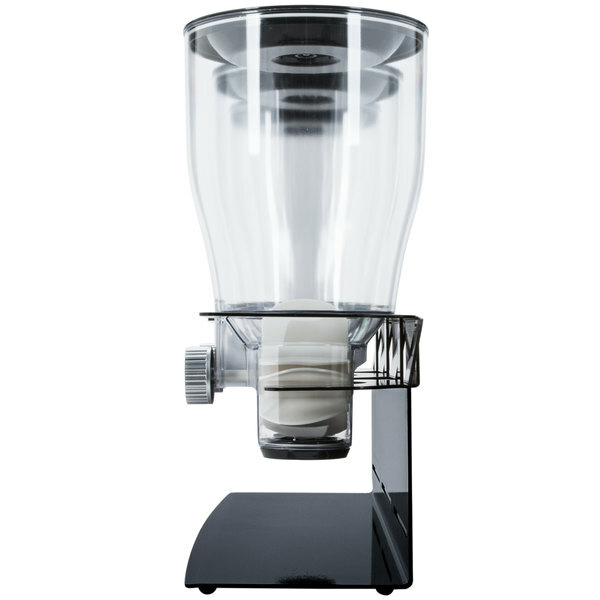 Dispensers too small, too low to the ground, a bit unstable, the turning mechanism feels cheap and is tough to spin depending on what is in the dispenser - avoid, buy something more expensive and better. Thank you for your review, Howard! We are sorry you did not like the dispenser. 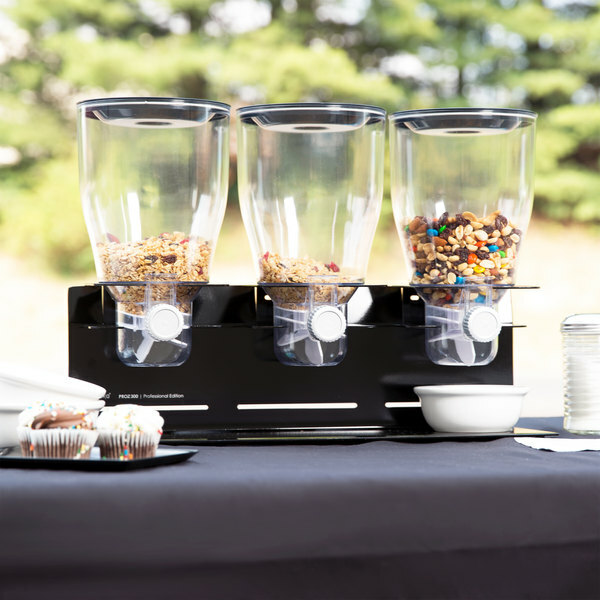 Try this Cal-Mil 1499 Eco Modern Cereal Dispenser for a taller unit with a slide stopper that will avoid larger cereal pieces getting stuck. 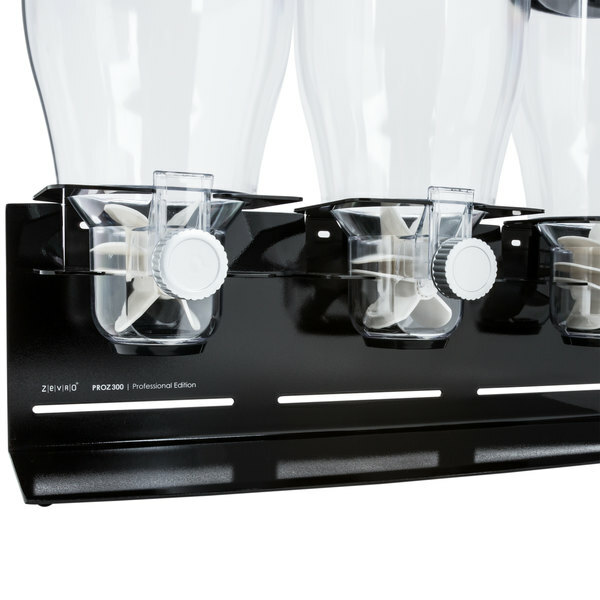 what a great dry food dispenser. we use it for a breakfast group that comes in. they love it and it seems to work great. 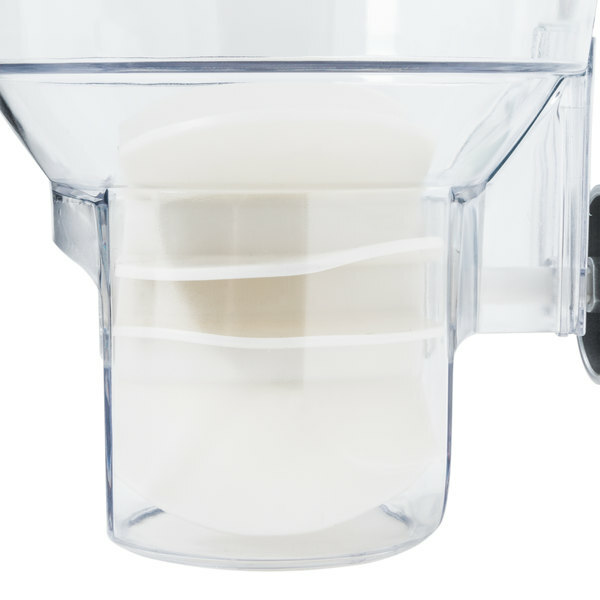 These food dispensers do not hold that much, but they are great to have in the bakery! 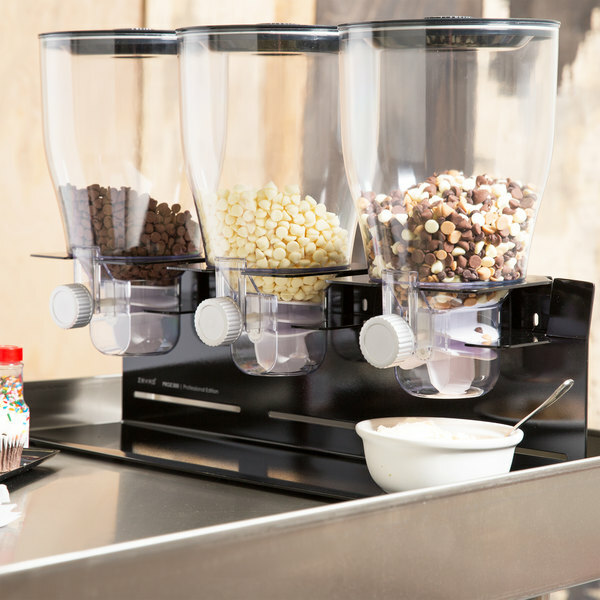 We use them for dry foods like cereal and toppings, but they can be used for so much more! Easy to clean, too! 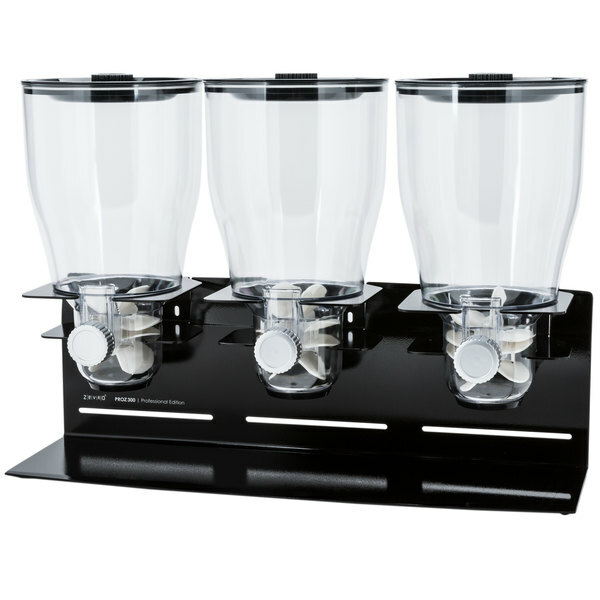 Try Cal-Mil's 3510-3-39 Platinum Turn and Serve 3 Cylinder Cereal Dispenser. 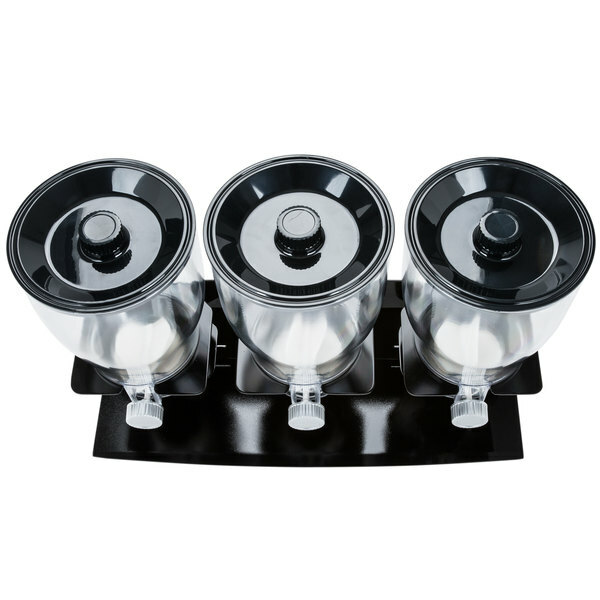 This freestanding unit includes a metal stand and three plastic cylinders with lift-off tops to keep multiple types of cereal organized. 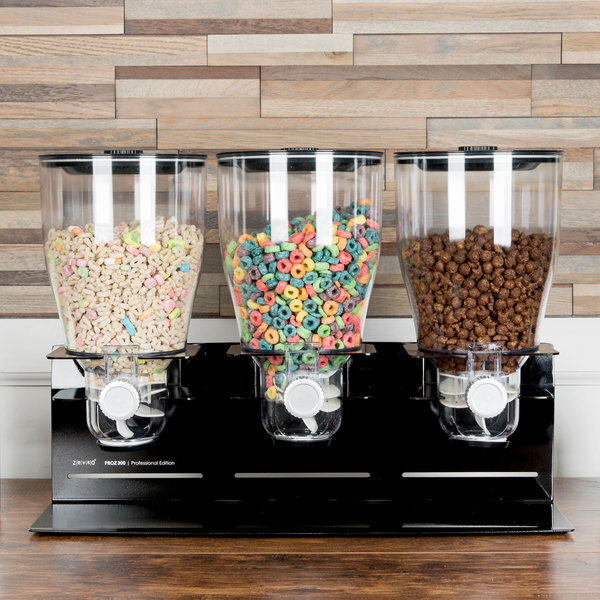 Perfect for your buffet or hotel breakfast bar, this dispenser makes it easy for your guests to choose their favorite cereal and serve themselves. 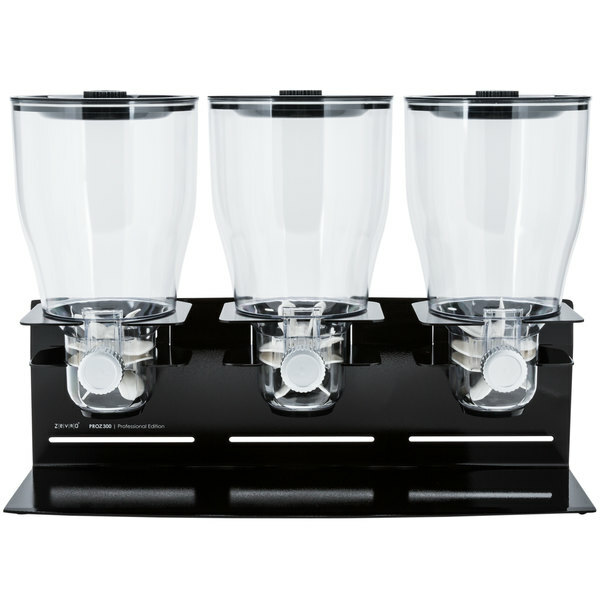 Cal-Mil 3510-3-39 Platinum Turn and Serve 3 Cylinder Cereal Dispenser - 18 1/2" x 6" x 17 3/4"